A European Commission report has warned against the risks of handing out so-called golden visas to wealthy foreigners as it opens the doors to corruption and organised crime. Currently, Bulgaria, Cyprus and Malta operate schemes where investors spending between €800,000 to €2 million can obtain citizenship. The Commission pointed to concerns when it comes to security, money laundering, tax evasion and transparency of these citizenship programs. 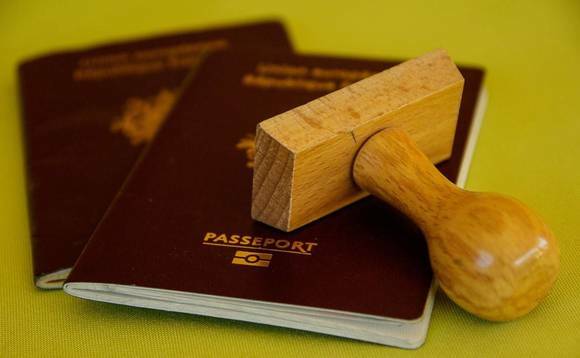 "People obtaining an EU nationality must have a genuine connection to the member state concerned," EU Justice commissioner Vera Jourova said. "There should be no weak link in the EU, where people could shop around for the most lenient scheme." EU countries have raked in around £22bn from direct foreign investment over the last decade by allowing cash rich investors - often Chinese, Russians and Americans - the opportunity to secure access to the bloc's free movement policy, according to anti-corruption watchdogs Transparency International and Global Witness. That's more than 6,000 new citizens and close to 100,000 new residents. "Checks run on applicants are not sufficiently robust and the EU's own centralized information systems, such as the Schengen Information System (SIS), are not being used as systematically as they should be," the Commission wrote in a statement. The Commission added that "enhanced checks ("due diligence") are necessary to ensure that rules on anti-money laundering are not circumvented" and that "monitoring and reporting is necessary to make sure that individuals do not take advantage of these schemes to benefit from privileged tax rules." Twenty EU states offer visas in exchange for investment: Britain, Bulgaria, Croatia, Cyprus, Czech Republic, Estonia, France, Greece, Ireland, Italy, Latvia, Lithuania, Luxembourg, Malta, the Netherlands, Poland, Portugal, Romania, Slovakia and Spain. These over residency, not citizenship. Investment can range from €13,500 to over €5m ( in the form of capital and property investments, buying government bonds, one-time payments to the national budget or certain donations to charity. Cyprus toughened up vetting procedures last year after it was accused of running a "passports-for-cash" scheme. It said passport numbers would be capped at 700 a year. The president of Cyprus, Nicos Anastasiades, criticized the Commission report, saying his country is being singled out. "At some point, these double standards must end," he said. "This report firmly puts the spotlight on dubious schemes in Member States, which is a good first step." said Laure Brillaud of Transparency International. "However, we see little incentive for countries like Malta to scrap these lucrative schemes without strong action from international institutions such as the EU." Criticism that Edward Scicluna, Malta's Finance Minister rebukes and says is nothing more than a "misunderstanding". Talking to journalists in London before the EU report was made public, Scicluna addressed the issue of being put on a blacklist after the OECD raised concerns about the country's visa scheme. "Although Malta's scheme is attractive, it's meant for shareholders from outside. People who take the citizenship are the last to get any advantages as far as taxation is concerned," said Scicluna. "People who get their citizenship don't automatically get citizenship taxation, they need to apply," he told the press. "Malta is transparent and we publish the names of those on the Citizenship by Investment scheme, unlike some other countries. We refuse, with a very strict due diligence, 25% of those who applied. We do not accept everybody," he added. Portugal's parliament has recently turned down a bill proposed by the opposition parties to abolish its Golden Visa Scheme, dubbed 'Vistos Gold'. Brussels doesn't currently interfere in domestic investor schemes but will urge member states to adopt a common approval criteria and be much more transparent about their government's process. The Commission, however, will monitor wider issues of compliance with EU law raised by investor citizenship and residence schemes — to ensure "funds paid by investor citizenship and residence applicants are assessed according to the EU anti-money laundering rules" — and has said it is ready to take necessary action as appropriate. The report states that the Commission will convene a "group of experts" from all Member States to tackle risks in citizenship schemes and prepare a set of security checks by the end of 2019.